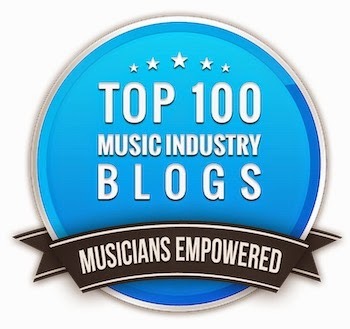 Bobby Owsinski's Big Picture Music Production Blog: Do You Know The Difference Between Modulators? While all modulation effects certainly don’t sound the same, not many engineers know the difference between them. Here's an excerpt from The Audio Mixing Bootcamp book that takes a look at the differences. 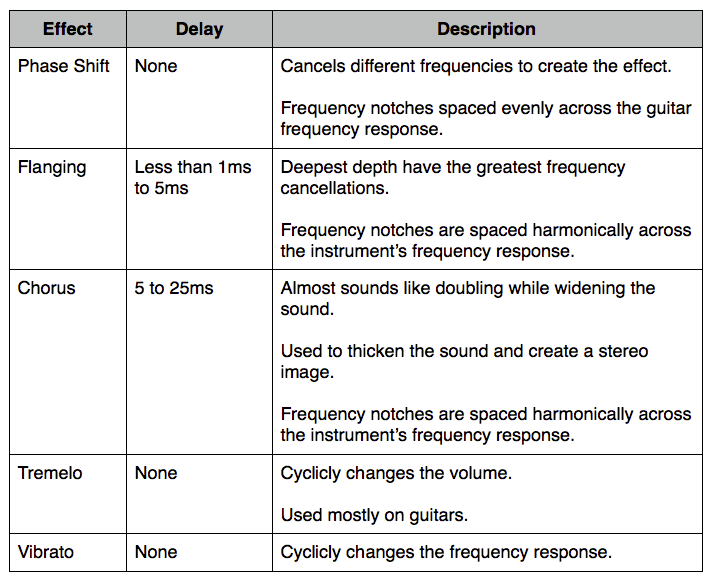 "Modulation refers to an external signal that varies the sound of an instrument or vocal in volume, timing or pitch. This includes effects like chorus, flanging and phasing, which are pretty standard mixing tools, to tremolo and vibrato, which are used mostly on guitars and electric pianos. Between reverb, delay and modulation, modulation is the least used mixing effect because a little goes a long way. And except for flanging, you’ll also hear modulation effects used mostly on a single track at a time, instead of across the entire mix. In fact, most modulation effects are inserted directly in the signal path of a channel instead of using a dedicated send and return configuration. There are three modulation effects that are very closely related; phase shift, chorus, and flange. The simplest difference between them is that a chorus and flange effect comes from a modulated delay that’s mixed back into the original signal. The flanger uses a shorter delay than a chorus, usually much less than 5 milliseconds, but a phaser uses no delay at all (see the graphic on the left). Going a bit deeper, flangers, phasers and choruses work by producing a series of frequency bandwidth notches that are slowly swept across the frequency spectrum of the instrument or vocal. You don't really hear these notches; you hear what's left in the frequency spectrum, which is a series of peaks. Phasers have a small number of notches spaced evenly across the frequency spectrum while flangers and choruses have a larger number that are spaced harmonically. Tremolo and vibrato work a little differently because no delay is involved. Tremolo cyclically varies the signal up and down in level, while vibrato varies the tone cyclically up and down." A bit of trivia - the term "flanging" was actually coined by none other than Beatle John Lennon while observing the effect being created by the engineer slowing the speed of one of the tape decks down by placing his thumb on the metal portion of the reel or tape, which is called a flange. To read additional excerpts from The Audio Mixing Bootcamp and my other books, go to the excerpts section of bobbyowsinski.com.